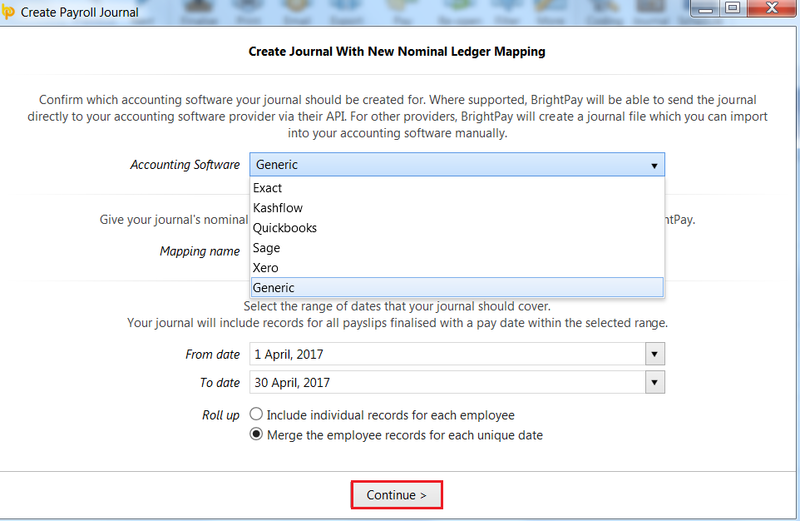 A generic journal option is available in BrightPay for users to create nominal ledger mapping of their choosing. This may facilitate users who use accounting software which BrightPay doesn't specifically cater for, or users who wish to create their own mapping for Exact, Kashflow, Quickbooks, Sage or Xero instead of using the already built-in mappings. 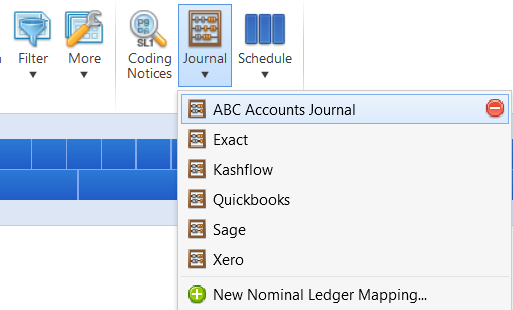 2a) On the next screen, select which Accounting Software your journal is to be created for. b) Enter a Mapping name of your choice. This name will subsequently appear in your listing of journal options. c) Set your Date Range - the journal will include records for all payslips (across all pay frequencies) with a pay date within the selected range. d) Roll up - select whether you would like the journal to include individual records for each employee or whether to merge the records for each unique date. 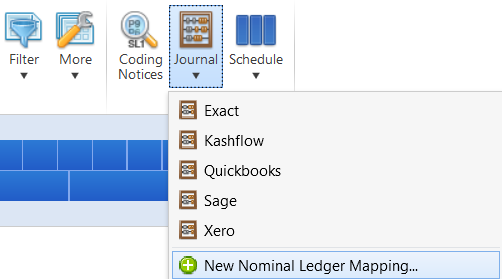 3a) Nominal Ledger Mapping - for each of the payroll data items listed, enter the nominal account code to which amounts will be mapped to in your journal. A nominal account code can be used for multiple items. A description can also be entered for each data item. 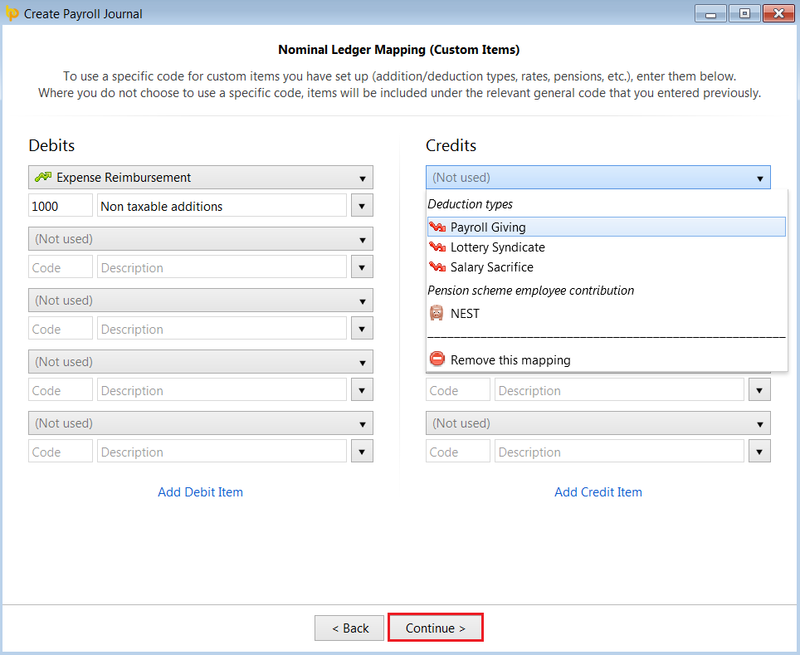 5) Nominal Ledger Mapping (Custom Items) - this screen allows the user to map custom pay items in BrightPay to other specific nominal account codes of their choosing. Examples of custom items include addition/deduction types, rates, pensions, etc. 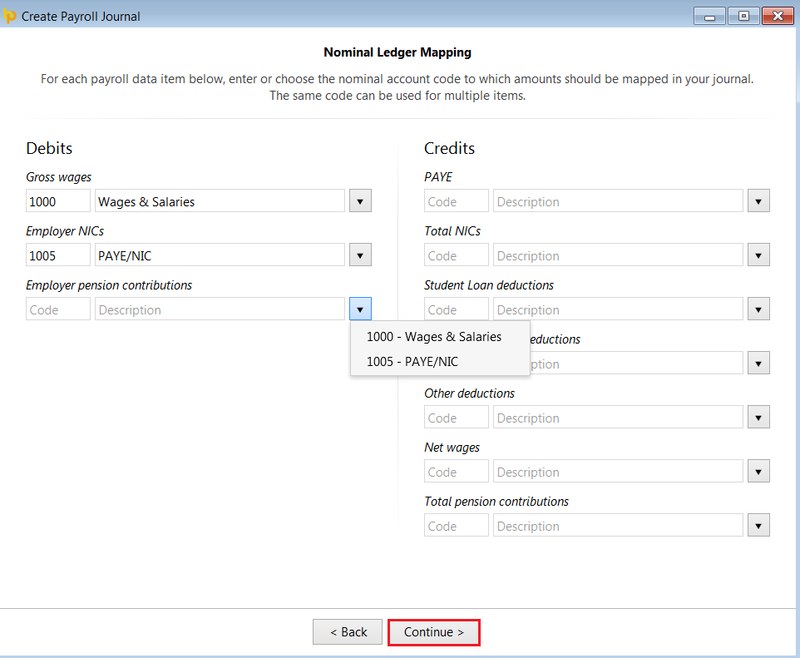 Your payroll journal is now ready for upload into your accounting software.